The Emma bow is made from your choice of 1 1/2 grosgrain ribbon that measures about 5 inches across. You can also choose the coordinating center from 3/8 grosgrain. 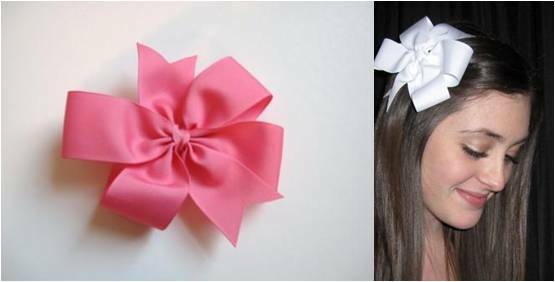 This bow can be attached to a medium or large barrette, an alligator clip or rubber band.